I participated in a campaign on behalf of Mom Central Consulting for Triscuit. I received products to facilitate my review and a promotional item as a thank you for participating. I eat a healthy breakfast just about every morning. I do get in a rut and look for wholesome alternatives to jazz up my meal. 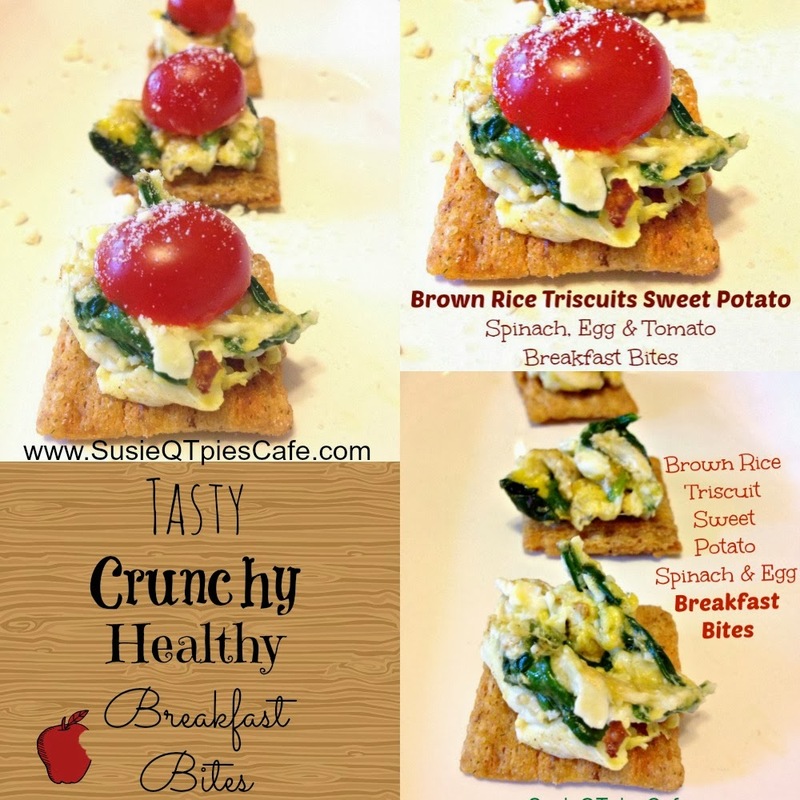 I'm thrilled to report that the new line of Brown Rice Triscuits gave me the needed change of pace to my breakfast meal and I created two new healthy recipes. 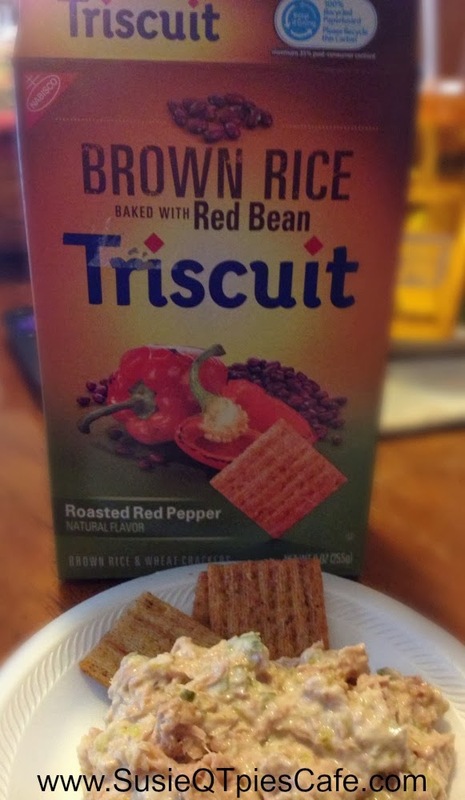 Triscuits added brown rice to their wheat crackers along with real food ingredients such as sweet potatoes and red beans. These crackers are baked with 100% whole grain brown rice and wheat, no high fructose corn syrup, hydrogenated oil, cholesterol or artificial flavors. Ok but I know you are wondering do they taste good. I have to say 100% yes they taste even better than just "good." 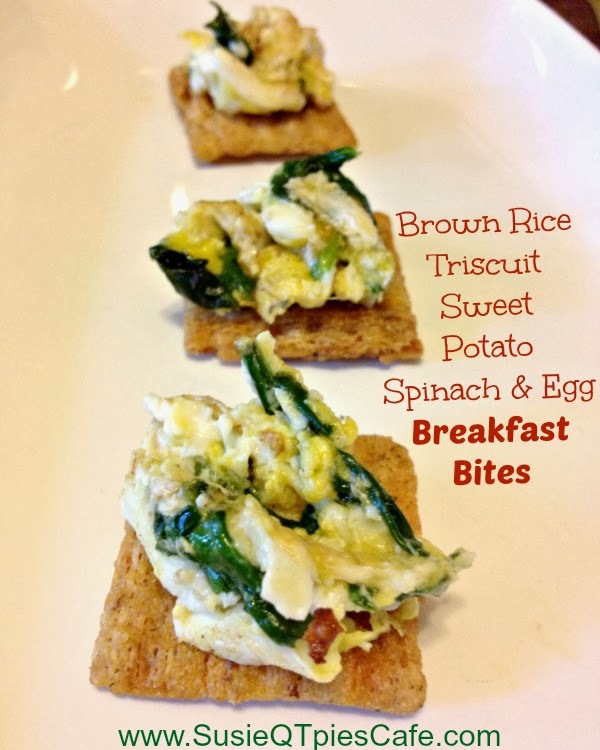 These crackers are perfect for breakfast, lunch, dinner and snack time! My family tried them and love them no matter the time of the day. We tried the Brown Rice Triscuits baked with Sweet Potato seasoned with Roasted Sweet Onion, Brown Rice Triscuit seasoned with Sea Salt & Black Pepper and Brown Rice Triscuit baked with Red Bean seasoned with Roasted Red Pepper. At first I was hesitant to try the whole wheat healthy cracker with breakfast but the Sweet Potato totally rocked my eggs. 1-Add butter to hot pan and toss in spinach. Cook for 1 minute. 2-Add in egg and give it a quick scramble. 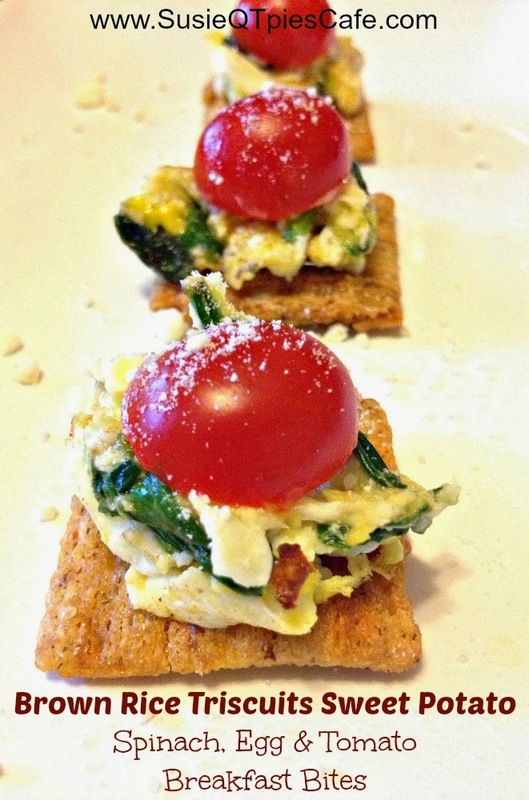 3-Add eggs to Triscuits and sprinkle on Parmesan cheese. 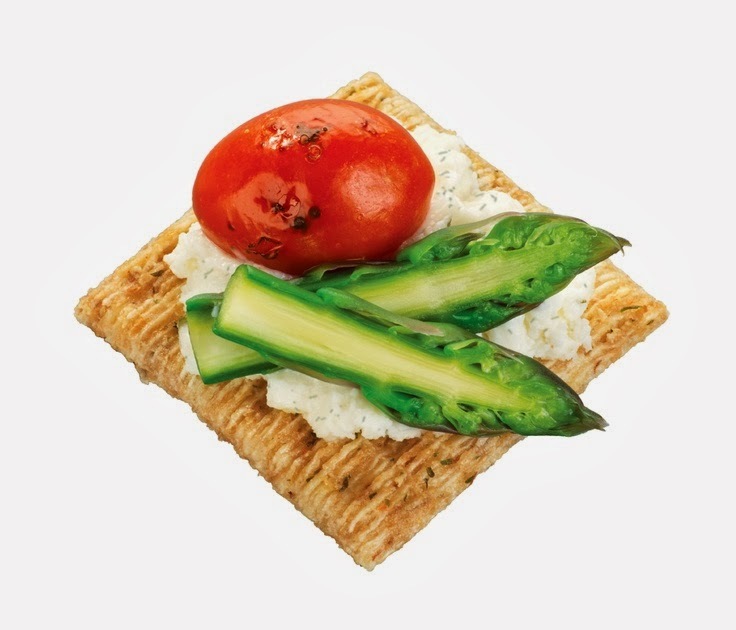 Besides breakfast, we used our new Triscuits to eat plain as a healthy snack and served with tuna fish salad. Tuna fish salad is eaten around here for lunch or dinner. Everyone loves it and the Triscuits added a perfect healthy crunchy bite to the tuna fish which would normally be eaten with carrots, plain round crackers or on sandwich bread. You'll have to check out all the tasty recipe toppers over on their Pinterest board specifically created for these yummy Brown Rice Triscuit crackers. I'm looking forward in trying the Grilled Tomato & Asparagus Topper and Shrimp, Guacamole & Cilantro Topper at my next party! Need more inspiration? 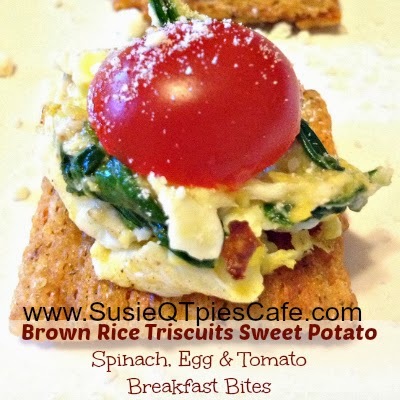 Check out the Triscuit website, Facebook, Twitter, Pinterest Boards and Youtube channel.